Flames tore through a building on East 125th Street Thursday morning and then spread to a second building on the block. The fire broke out at the building near Euclid Avenue around 4:30 a.m.
Crews at the scene said both buildings were vacant. 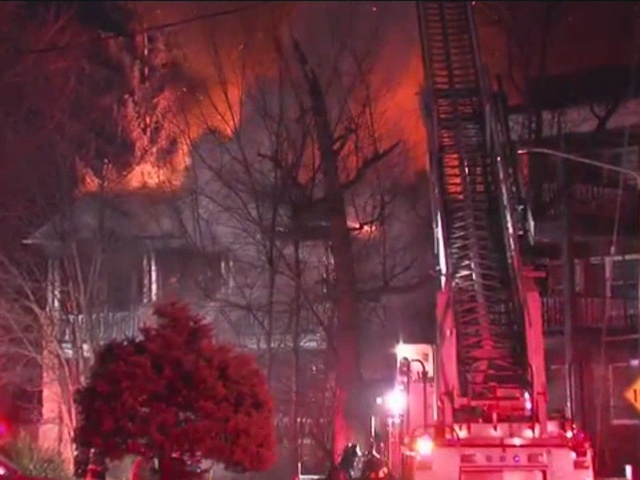 Water issues caused problems for firefighters but the fire was mostly out by 5:45 a.m.